I finished the first of many, the usurper, late King, Robert of the House Baratheon, the First of his Name, King of the Andals and the Rhoynar and the First Men, Lord of the Seven Kingdoms and Protector of the Realm. It took me a little over an hour because I kept taking pictures and some video as I was sculpting it. I’ll soon come out with a step-by-step instruction for you to make it or to see how I made it. Let me know if you have any comments or questions on the first sculpture of the project! Thanks! 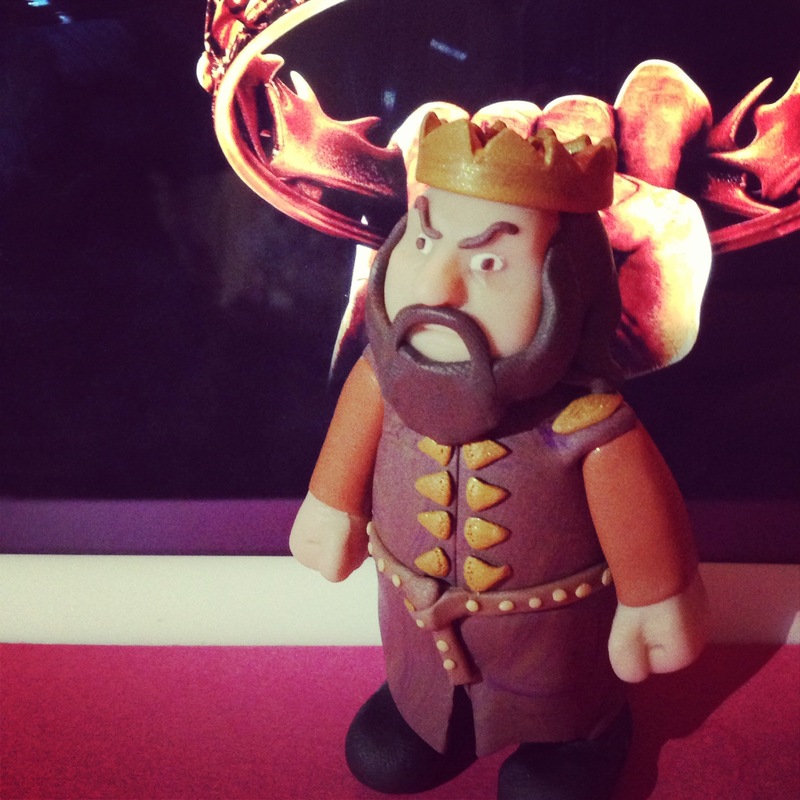 Games of Thrones Robert Baratheon in Polymer Clay finished. ← Project: Games of Thrones!